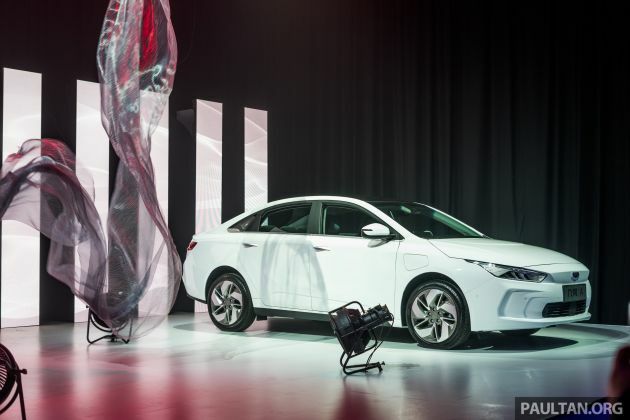 On Thursday, Geely unveiled its new global electric vehicle brand, Geometry, alongside its first model, the Geometry A, in Singapore. 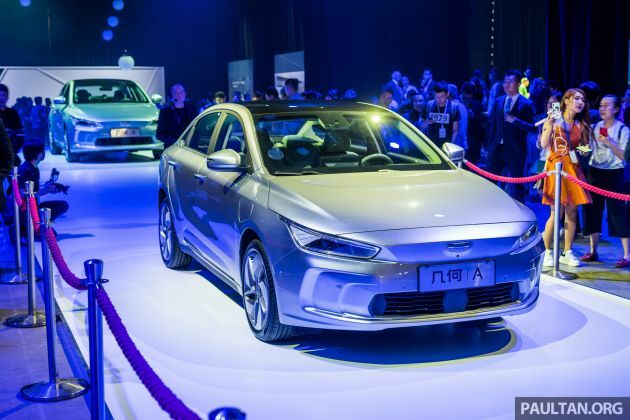 Naturally, we had a few questions regarding the marque and its relation to another Geely brand, Proton, and answering them was the company’s vice president of public relations, Victor Yang. 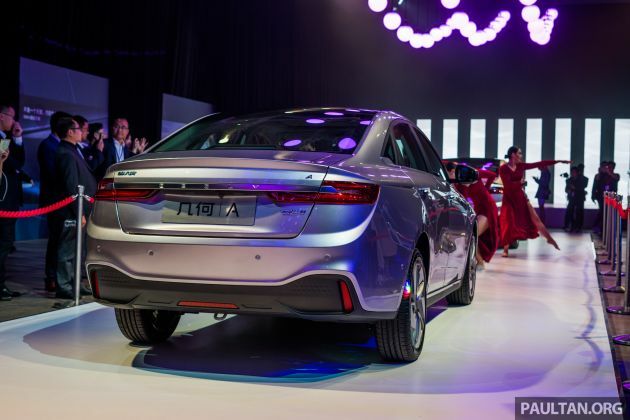 Now, you may remember a story we ran back in 2017, in which Geely expressly said that it will not enter the Southeast Asian market, and that it would leave that territory to Proton. As such, the announcement of Singapore being one of Geometry’s first export markets left our heads scratching, but Yang said that it was all part of the plan, since the latter is a separate brand. This leaves the door open for Geometry’s entry to the region – but what about Malaysia? While Yang did not categorically deny a possible arrival on our shores, he did say there were no plans as yet, although that might change if there is sufficient government incentives and a strong charging infrastructure. It should be noted that while Malaysia does have an Energy Efficient Vehicle (EEV) scheme that offers incentives to lower the cost of the car, the subsidies are not spelt out like they are in some other markets, being doled out on a customised case-by-case basis. However, Yang said that hybrid, mild hybrid and plug-in hybrid vehicles should be sold here to encourage a cleaner, more efficient lifestyle. He added that Proton will continue to provide assistance in converting Geely vehicles to right-hand drive, including Geometry. This is why we need to be aware of these Geely people. There is always a loop-hole in their contract and they will use it. Geely-owned doesn’t mean it’s a Geely brand? Who are you kidding? Deswai Geometry shud rebadged Iriz EV..
Read carefully. Geely-branded cars meaning conventional ICE-powered. Geometry is pure EV, which Proton doesn’t have currently. P2 hybrid habuk pun tarak, want to produce EV? Aruz is the most advanced model Toyota will let P2 rebadge. Don’t talk too much. Just rebadge as PROTON EV. But sale cheap, cheap la..
Make sure that the handling is Proton level! Cheap cars, but not cheap handling. Geely just realised its better to do it themselves than relying in incompetent clowns. whatever happen to previous Proton Saga / Evora EVs prototype? nothing to contribute to road car??!? Of course no significant incentive for EV. We are oil producing country. Do u expect saudi to be pro EV? Our golden goose @ Petonasty is too precious to even have pro EV policy. Same like the Euro 4 fuel issue. Even the environment comes second. Plus, we also produce normal engine car. What will happen to proton perodua and all their vendors. But now we have this tech, it is kinda sin towards environment if we still use Combustion engine. I hope one day I could use convertible on our beautiful highways. Gomen only interested in flying car-pets, not EV. With flying car-pets, Ali Baba & his 40 cronies can songlap macam². Don’t worry, Mini-Stars will come out with incentives, rebates to help these 40 cronies to grow fat and prosperous. Syukur Msia Aman. No EV no problem, we have flying car coming, remember…? Leave SE Asia to Proton? Proton has NEVER been able to capture SE Asia, so in Geely’s infinite wisdom, why would they say such a thing? They see the potential of Proton that you didn’t? Next Post: Suzuki Katana 2019 tiba di Malaysia – harga RM85k?